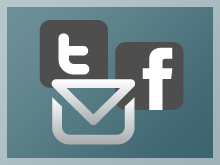 Sharing Your Email Campaign Via Social Media – David Safanda Design Solutions Inc.
How to add the power of social media sharing to your email campaigns. An email newsletter is a great way to simultaneously accomplish two important marketing goals. On the one hand it’s a way to keep your current clients or customer base informed of your services and products. If the content in your newsletter is informative and of value it’s also a great way to attract the interest of new contacts. If you can get an existing subscriber to share your newsletter with friends you now have the attention of potential new customers or clients. So how do you get someone to share your newsletter? The best way to encourage sharing is to make it easy. We need to give recipients the ability to share your email with just a couple of clicks. You’ve probably already noticed that in most email campaigns there is usually a link somewhere on the page that allows you to forward to a friend. This is a good method for encouraging people to share your newsletter. It’s a standard feature available from most email campaign services. However, what if there was a much easier way to let your recipients share your newsletter with dozens or perhaps hundreds of friends? This is where we can put the power of social media to work. Campaign Monitor is my favorite email service and the one I use with my clients. 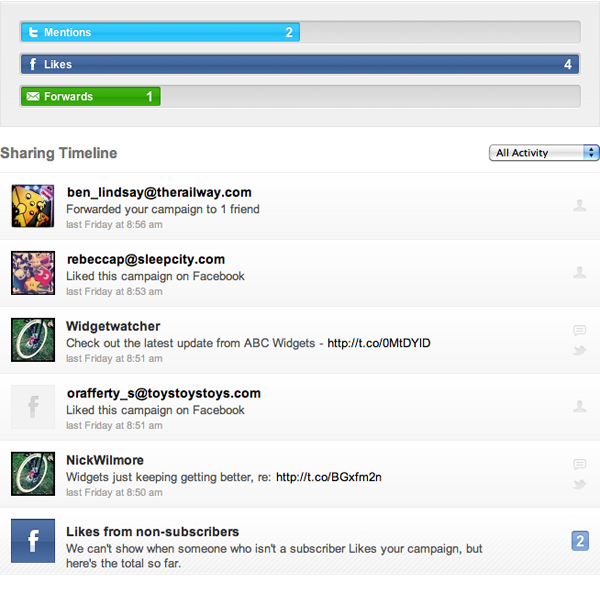 Campaign Monitor makes it very easy for me to create links that allows a recipient to share an online version of your email with friends and followers on Facebook and Twitter. I especially like the fact that Campaign Monitor gives me complete creative control over what these links might look like. The links can be text or they can be custom graphics that I’ve created for you. Here’s an email that I recently created for Capital Management Associates. It features a side bar near the top of the email in which I’ve added prominently placed sharing links. Once your campaign has been sent you can now log in to an account I’ve set up for you on Campaign Monitor and track the results. 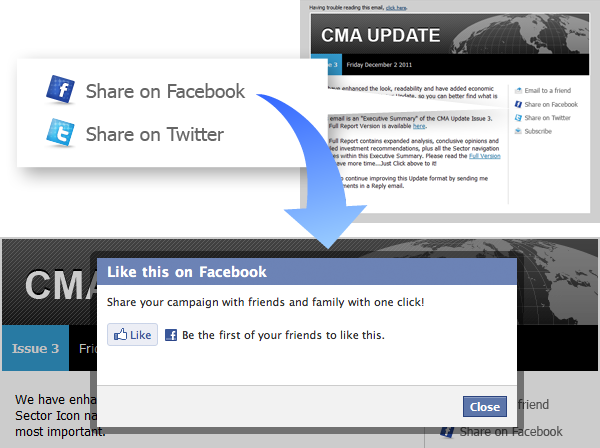 You can watch in real time as recipients click the Facebook Like button or tweet about your email. It’s important to note that Campaign Monitor can’t disclose the names or contact info of people who have shared your email unless they are already current subscribers. This is why it’s important that we also incorporate a subscribe button in your your email. Ideally, this approach can evolve in to a sort of self sustaining loop in which a certain percentage of your new audience becomes subscribers who in turn share your next campaign with additional contacts and so forth. Hopefully, a percentage of this new audience becomes future clients and customers.